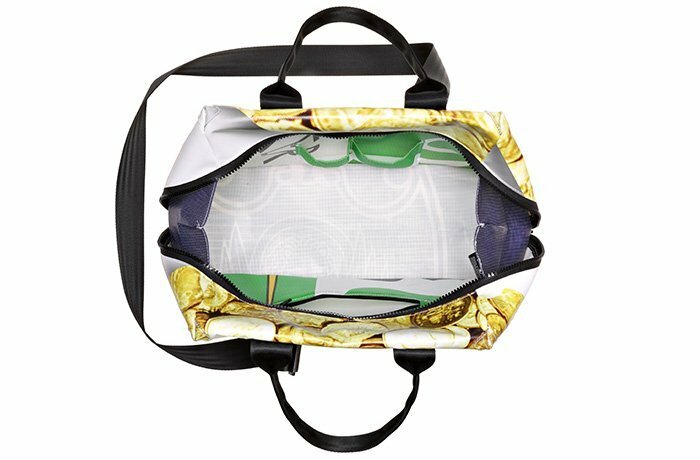 Very spacious ladies’ bag in recycled pvc with a recycled, micro-perforated lining which can be removed from the bag by undoing the Velcro bands. 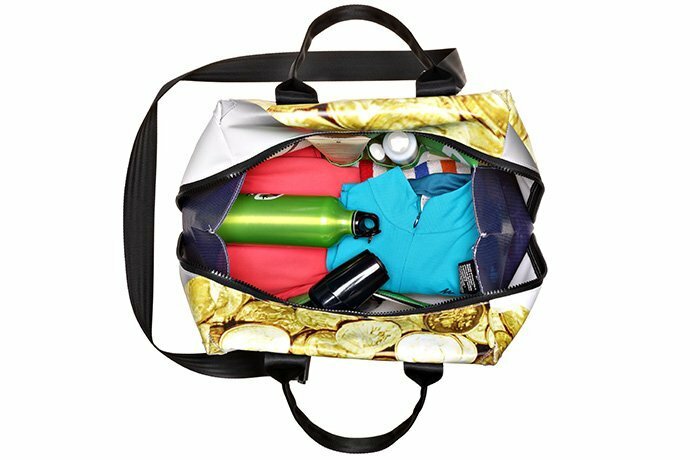 Without the lining it becomes a convenient bag for travel or sports. Inside pocket with zip closure and dedicated cell phone pocket. The external zip completely opens the bag so you can immediately see inside and find what you are looking for! Wide handles and adjustable shoulder strap made of recycled seat belt, reinforced corners in clear pvc. All of the materials used are waterproof. Drag the line and find the full or empty bag!